Perhaps you already knew about the pyramid complex on the Japan seabed, but even more interesting is the discovery of the pyramids in Bosnia. Someone named Semir Osmanagić claims has discovered pyramid complex in the Bosnian town of Visoko. One tunnels network said to be the tunnels that connect with other pyramids. Many scientists claimed this discovery was a joke but some of them are participate in a conference of scientists in an attempt to investigate the pyramid further more. If you look at the video judge by yourself whether it's natural or artificial. 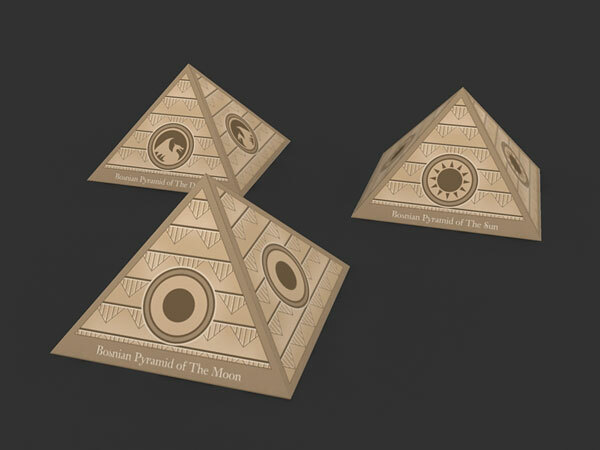 This Paper model is inspired from the three major pyramids, Pyramid of the sun, the moon and the dragon.